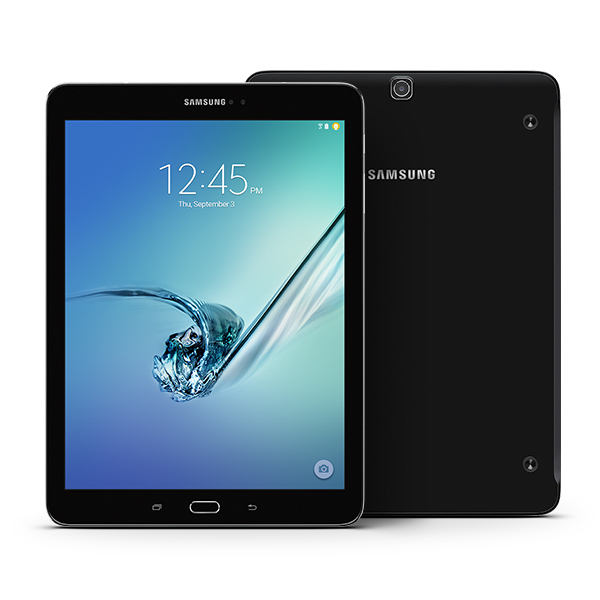 The Samsung Galaxy Tab S2 9.7 is a premium Android tablet device with a large 9.7-inch display. The Samsung Galaxy Tab S2 9.7 is extremely sleek and stylish weighing in at just 389g and 5.6mm thick. Accessories let you get the most out of your Samsung Galaxy Tab S2 9.7. Listed below are the top 10 must have Samsung Galaxy Tab S2 9.7 accessories. 1. ProCase Samsung Galaxy Tab S2 9.7 Leather Stand Folio Case Cover: The Samsung Galaxy Tab S2 9.7 is a pretty expensive tablet device with a starting price of $499. 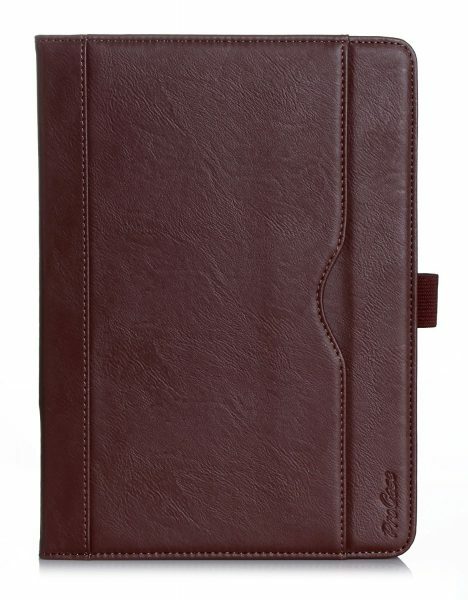 The ProCase Samsung Galaxy Tab S2 9.7 Leather Stand Folio Case Cover lets you personalize your Galaxy Tab S2 9.7 as well as protect it from drops, bumps and scratches. 2. Skinomi TechSkin Samsung Galaxy Tab S2 9.7 Screen Protector: The Skinomi TechSkin Samsung Galaxy Tab S2 9.7 Screen Protector is made from military-grade TPU and protects the display from impact and scratches. 3. 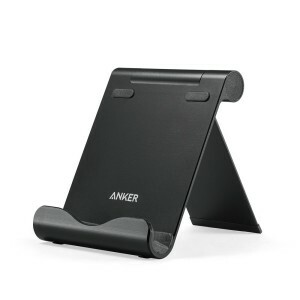 Anker Aluminum Multi-Angle Universal Tablet Stand for Samsung Galaxy Tab S2 9.7: The Anker Aluminum Multi-Angle Universal Tablet Stand is made from high quality aluminum and is ultra-lightweight. The Anker Aluminum Multi-Angle Universal Tablet Stand for Samsung Galaxy Tab S2 9.7 offers up to 9 different viewing angles. 4. 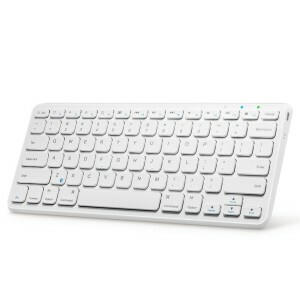 Anker Ultra Compact Slim Wireless Bluetooth Keyboard for Samsung Galaxy Tab S2 9.7: If you have a lot of typing to do on your Galaxy Tab S2 9.7, the Anker Ultra Compact Slim Wireless Bluetooth Keyboard is a must have. 5. RAVPower 16000mAh External Battery Pack Power Bank: The RAVPower 16000mAh External Battery Pack Power Bank is capable of fully charging the Samsung Galaxy Tab S2 9.7’s large 5870mAh battery twice. 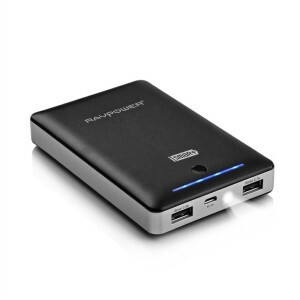 The RAVPower power bank uses iSmart technology to quickly charge your tablet device. 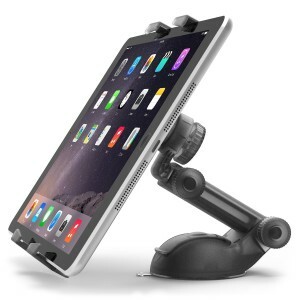 6. iOttie Easy Smart Tap 2 Universal Car Desk Mount Holder Stand Cradle: Mount your Samsung Galaxy Tab S2 9.7 on the car dashboard/windshield with the iOttie Easy Smart Tap 2 Universal Car Desk Mount Holder Stand Cradle. The iOttie Easy Smart Tap 2 Universal Car Desk Mount Holder Stand Cradle is easy to use and securely holds your device. 7. 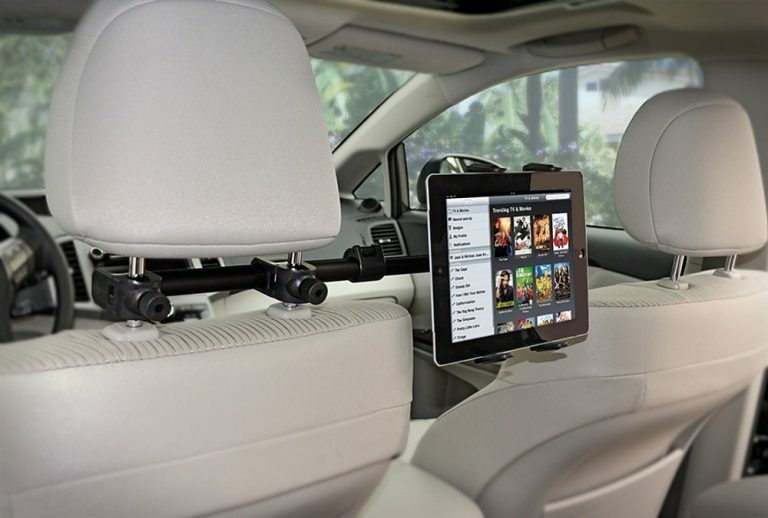 Arkon Center Extension Car Headrest Tablet Mount for Samsung Galaxy Tab S2 9.7: The Arkon Center Extension Car Headrest Tablet Mount for Samsung Galaxy Tab S2 9.7 is the perfect solution to entertain your back seat passengers on long journeys. The Arkon Center Extension Car Headrest Tablet Mount fits all large tablet devices and is fully adjustable. 8. 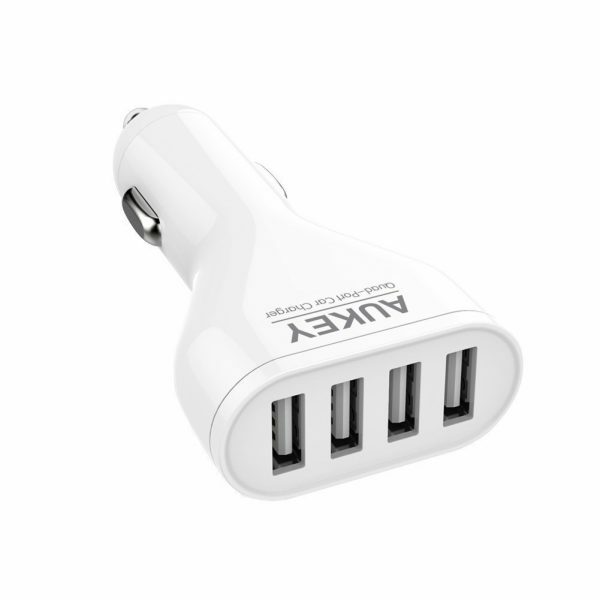 Aukey 48W/9.6A 4 Port USB Car Charger Adapter: The Aukey 48W/9.6A 4 Port USB Car Charger Adapter lets you charge up to 4 devices while on the move. 9. amPen Hybrid Capacitive Touchscreen Stylus: If you prefer a stylus over your finger, the amPen Hybrid Capacitive Touchscreen Stylus is a great choice. The amPen Hybrid Capacitive Touchscreen Stylus is available in 5 different colors. 10. Mediabridge USB 2.0 Micro-USB to USB Cable: The Mediabridge USB 2.0 Micro-USB to USB Cable is quite handy when you need to transfer files between the Samsung Galaxy Tab S2 9.7 and your computer. These are the top 10 must have Samsung Galaxy Tab S2 9.7 accessories. I am curious as to whether you actually tried to charge the Galaxy Tab S2 with the RAVPower 16000mAh External Battery Pack Power Bank. I have an older power bank with a 5 V 2.1 A output and the S2 flatly refused to charge from it. I get a little red battery light when the S2 is connected. I raised a question with Samsung about the possibility of any power bank being able to charge the S2 and after a week or more still no answer. The current power bank charges an iPad Air with no issues. I don’t want to purchase another power bank if it won’t charge the S2. Can you please confirm that the RAVPower does indeed charge an S2? Thanks. That’s surprising! I see no reason why it won’t charge. The Tab S2 gets a 5V 2A Adapter from the manufacturer, so, technically your 5V 2.1A power bank should work too. Do let us know the reply from Samsung. FYI, the RAVPower has a 2.1A and a 2.4A port. If I were you, I would wait for a reply from Samsung and proceed. Based on your response, I gather that you have not tested one. I get the same little red light when I plug the S2 into my computer’s USB output. I hope it can charge from a power bank.. ! Yes, I must say I have not tested it with the Tab S2. The Tab S2 gets a 5V 2A Adapter from Samsung, right? 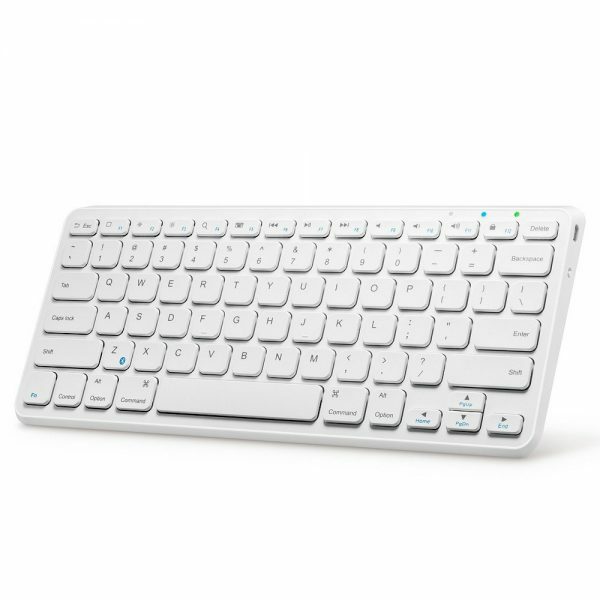 Your computer won’t charge the Tab S2 because a normal USB port on a computer can’t pump out the Amps required to charge a tablet device. Yes. The one I got with the S2 has 5v 2A. So I would have thought that a 5 v 2.1 A output from a powerbank would have been good enough. But sadly not. I am going places where there is no electricity so I was relying on a powerbank for some extra power. I thought that I should update this. Samsung customer support were of no help whatsoever and they just palmed me off to some retail shop front who said I needed to get an expensive Samsung power bank. Sometime after that I got some Android (I think but with Samsung you can’t be sure) update and all of a sudden, I got a new visual notification (when I tested charging off the power bank) that said I was charging via a slow charge facility and I should use the adapter supplied with the tablet. So it seems that the little red icon is just a warning and not an indication that it is not working. I was able to use an older power bank with a 2.1 Amp output and it did charge the tablet albeit somewhat slower than by using the adapter. This did reinforce my original theory that a quick charge element with Android was the problem and I think they recognised the error in their ways by fixing it to give some notification that it was charging. Thanks for coming back and updating! Problem could be due to the cable used. Try using the original Samsung Galaxy Tab S2 cable with your PowerBank instead of the cable came with your PowerBank. I too have a Samsung Tab S2 and have a KIT power bank capable of 2.1A charging, but it also refuses to ‘quick’ charge the S2, giving the red cross over the battery icon…. Meaning a vastly reduced charge rate – in fact the S2 battery still discharges whilst connected to the powerbank if in use – a complete waste of time! 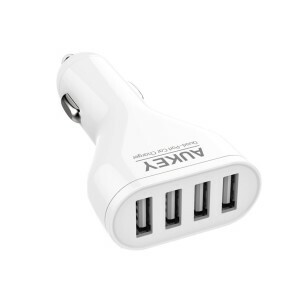 Evidently now several mobile device manufacturers use proprietary chargers that sense the device on the end of the cable – it’s about time powerbank manufacturers have ‘sensing’ outputs capable of charging various devices correctly.